Welcome to Bali Bay Trading Company We are one of the largest direct importers and wholesaler of Handmade Fashion Accessories from Indonesia. Artisan Beaded Jewelry, Bali Design 925 Sterling Silver, Mother of Pearl & Abalone Shell Jewelry. And we've just added Beautiful Batik Sarongs. We are known for our huge selection, high quality, great prices and excellent customer service. Thank you for visiting our Store! 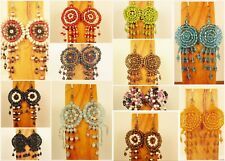 2" Handmade Large Seed Bead Hoops Silver Tone Boho Roxie Earrings 9 COLORS!! 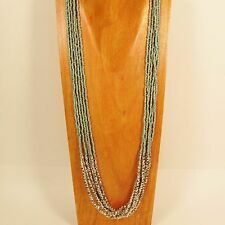 22" Metallic Colors Stone Shell Chip Handmade Seed Bead Necklace FREE SHIPPING!! 1" Dark Blue Color Lampwork Glass Handmade Drop Dangle Earring FREE SHIPPING!